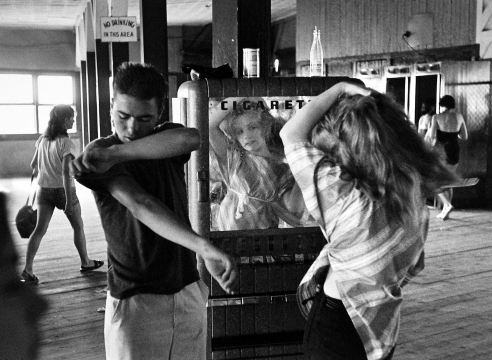 Howard Greenberg Gallery and Bryce Wolkowitz Gallery are pleased to announce simultaneous exhibitions of the photographs of Bruce Davidson. The exhibition at Howard Greenberg Gallery, entitled East 100th Street, The MoMA Show as Curated by John Szarkowski in 1970, is a re-creation of The Museum of Modern Art’s groundbreaking 1970 exhibition of forty-two photographs by the highly regarded Bruce Davidson. The photographs in the exhibition are the actual prints, presented in the exact manner in which they were shown at MoMA in 1970.